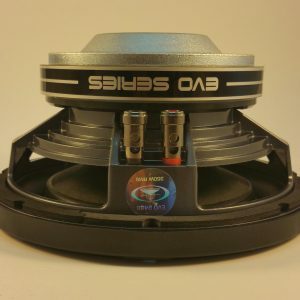 The Audiomobile GTS 10″ Subwoofer was designed from the initial concept to address the need for a true, high-performance subwoofer, which would not compromise power-handling, or sound-quality, yet still work in both a slim AND small box. 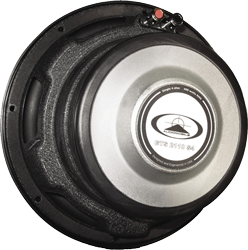 The Audiomobile GTS 10″ Subwoofer was designed from the initial concept to address the need for a true, high-performance subwoofer. One which would not compromise power-handling, or sound-quality, yet still work in both a slim AND small box. This represented a tremendous technological challenge to surmount. Our team recognized that the most proven way to get more bass from a smaller space was to use an “Isobaric” design. 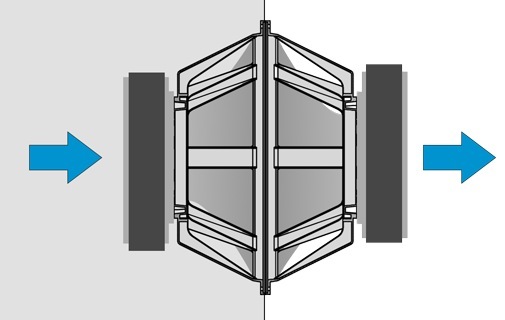 This concept has traditionally required the use of a mirror-image pair of drivers, working in concert, often referred to as a “Compound” enclosure. The downside of this however was both the cost of the two drivers, but the fact that while air-space required was very small, the physical depth of the system was substantial. Our solution was both elegant and simple. Create a family of drivers that duplicated the physics of the pair of drivers, but in a single, compact driver, which would have both the long excursion, power-handling, as well as the typically mutually exclusive combination of a low Fs, as well as small VAS (the required air-space to hit the Fs). The GTS “21″ series represents the ultimate development of this concept. It delivers the best balance of incredible low-frequency extension, from a very small enclosure. Still it retains remarkable efficiency, allowing it to perform optimally with just a couple hundred watts. However, as the “21″ series suggests, it’s like two (2) drivers in one, so it will take 400 – 500 watts RMS, without complaint, making it an ideal solution for today’s high-power monoblock amplifiers.